Well kept & bright back unit 1/2 duplex located on quiet street in Central Burnaby. Good functional floor plan. The unit is approx 1307 sq ft. Features granite countertops, laminate flooring, title roof, radiant heating, gas fireplace,single garage and extra parking space on the side street. Downstairs, there is a 2-bedroom suite with separate entrance for potential rental income. Fully fenced private backyard. Beautiful view of North Shore Mountains. 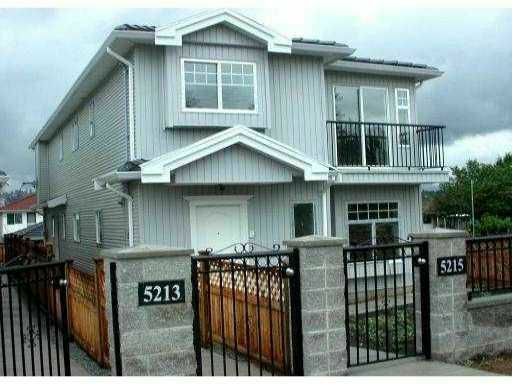 Close to school, transit, and steps to BCIT and Burnaby Tech Village. Easy access to Highway 1 and Canada Way.